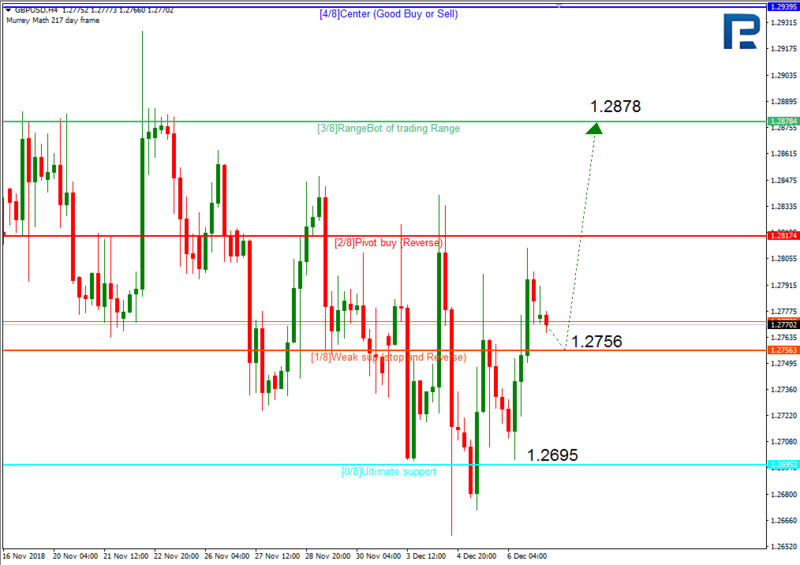 In the H4 chart, EURUSD is trading below the 3/8 level. In this case, the price may break the 2/8 level and then continue falling towards the support at the 0/8 one. 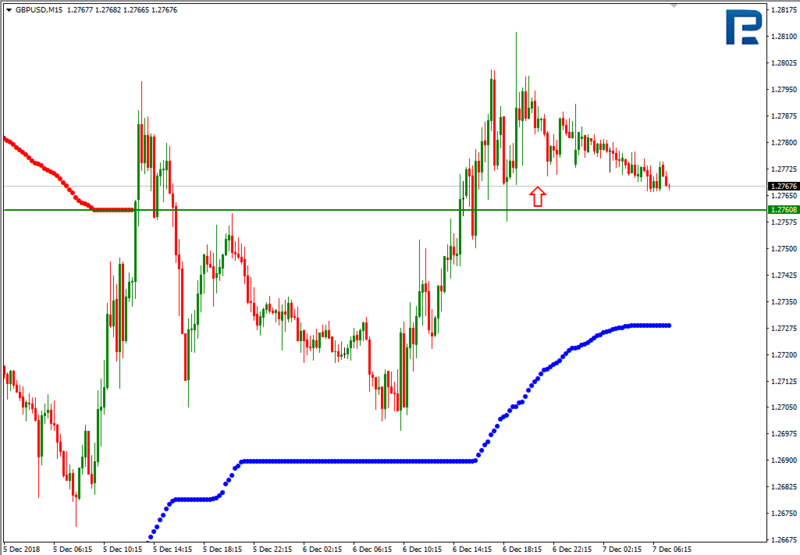 In the H1 chart, the pair may break the 5/8 level and continue falling to reach the support at the 0/8 one. As we can see in the H4 chart, GBPUSD rebounded from the support at the 0/8 level yesterday. In this case, the price may resume growing towards the resistance at the 3/8 level. 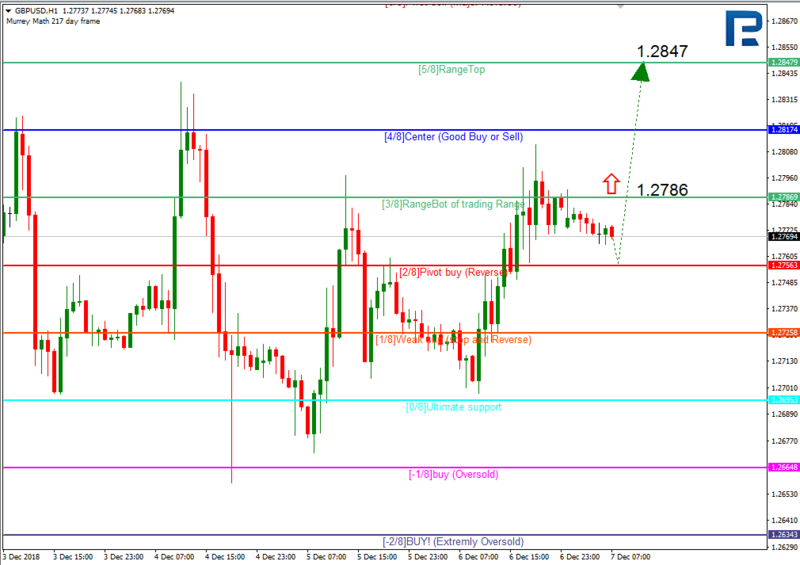 In the H1 chart, the pair may break the 3/8 level and continue moving upwards to reach the resistance at the 5/8 one.